It’s been said that eyes have an abil­i­ty to speak with­out the need for words. This con­cept was pop­u­lar in the art genre even pri­or to the Renais­sance prop­er, when artists made great strides in mas­ter­ing the eyes of their sub­jects to con­vey desired emo­tions. The Mona Lisa is the quin­tes­sen­tial “smirk­er” as she eyes you as though there is some inside joke about the rest of the paint­ing that she wants to let you in on. 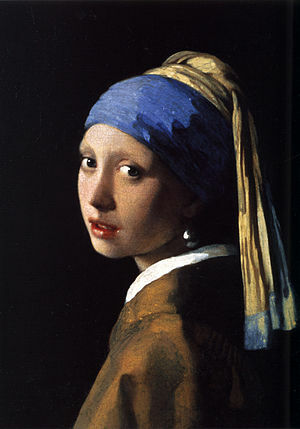 Girl With a Pearl Ear­ring gazes at you as if there’s some­thing unre­quit­ed in her life (a sur­round­ing aura that all but haunts her) that she knows she has to accept but can’t bring her­self to do so — I still can’t believe it was paint­ed in 1665 and not 1965. 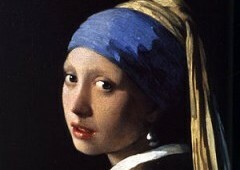 Per­haps the 14th and 15th Cen­turies’ works of art helped coin the phrase “the eyes are the gate­way into the soul”. Maybe it’s because of my day job, but eyes in art speak to me like the words of a poet (and I like it that way). So, the next time you see a work of art with eyes, stop and lis­ten (even if for noth­ing more than a fleet­ing escapist emprise). Maybe even have a con­ver­sa­tion. It just might make your eyes smile.